shopnewbalance.com: A track star takes to the streets.Getting to know the Velocity 773. A track star takes to the streets. Getting to know the Velocity 773. What happens when you take a track shoe that was built for speed and make it street ready? You get the new Velocity 773. It’s not a performance shoe. It prefers hanging out at the mall or taking in a movie to a day at the gym. (Or, at least that’s what my pair told me.) But it does have a performance heritage. The New Balance Velocity 773 was based on the classic 607 track and field shoe. The spikes have been removed and the colors pumped up to create a trendy look that can be paired with anything from skinny jeans to casual skirts. But don’t think the New Balance Velocity 773 is all about looks. When you get to know its history, you’ll see that a lot of thought was put into the Velocity 773 as well. 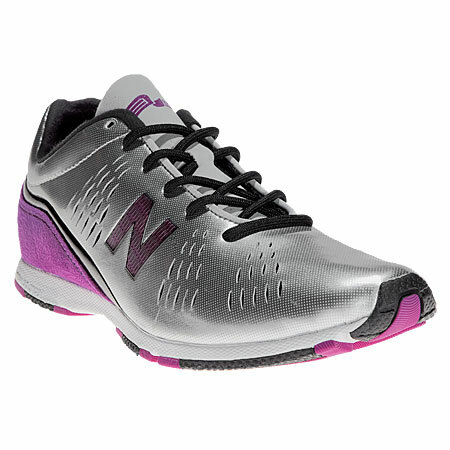 The Velocity 773 was inspired by Maggie Vessey, Team New Balance Athlete and 800M Champion. Maggie is known for having a bold, confident attitude and exceptional work ethic. This dynamic combination can be seen throughout the Velocity 773. It has a lightweight feel with a sleek, molded midsole. Plus, its ventilated, synthetic upper offers a comfortable fit. If you haven’t seen it yet, check it out here. But be warned: You might be tempted to put more than one pair into your shopping cart. With personality to spare, the New Balance Velocity 773 is hard to resist!